Many of you have been following along with our fairly new homeschool journey. It has not always been easy. Nor has it always turned out the way I thought it would. Nor am I naive to believe that homeschooling is the catch all answer for every moral issue that plagues your child or family...if only life was that simple!? So, even with all the challenges of homeschool, why say it was a good experience? 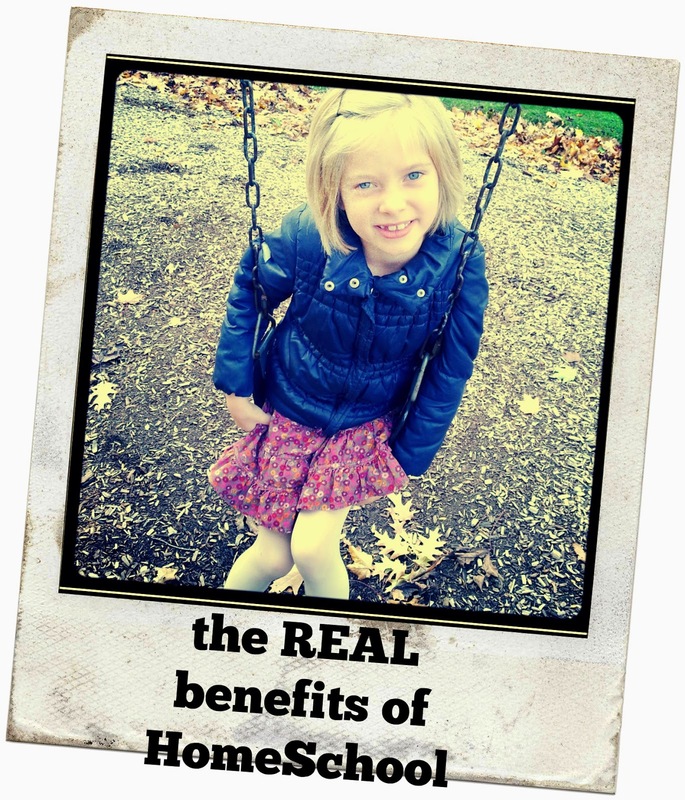 The REAL benefit lies in the way it changes your family dynamics and promotes an overall deeper family relationship. The way it helps us become more Christ-like. I have gained greater access to our children's hearts. Hearing them share their thoughts about their daily lives is something I have experienced more than ever before. They have developed better problem solving skills, as they have taken on greater responsibilities within the home & with their school work. I am sure this was happening as well in their school, however I didn't get the opportunity to see it up close, or be able to come alongside & encourage them in it. How about you? Ever thought that homeschooling might be the route for you? I am working on a really HUGE, GIGANTIC round-up post right now....you don't want to miss it! "Considering Homeschool?" will feature many well-known bloggers sharing their personal experiences homeschooling. It will give you a great sample of what homeschooling may entail. Please subscribe so you do NOT miss out!!! My Fifth Baby Takes Has Her First Meal...Live! I find that homeschooling makes kids grow betters as they can develop their talent, personality and spirituality much better in a family bonded environment. We homeschool! Thanks for this post. We are absolutely planning on homeschooling for a multitude of reasons. I look forward to your big round up post. I love reading other homeschooling parents' stories! I recently read "So You're Thinking About Homeschooling" by Lisa Whelchel and loved it! We are going to homeschool. I love your list of benefits! I look forward to my little Peanut's school years. Thanks for sharing! It's so great that homeschooling has worked out for you and your family. I worked full time up until the last year so my kids have always been in school. This last year with my youngest has been so wonderful, tough but amazing to watch him learn and experience the world from his point of view. I wish sometimes I could homeschool but don't feel like I'm a good teacher, I think I would confuse them more than help them! :) Thanks for sharing with Small Victories Sunday Linky! Pinning and thanks for co-hosting too! I love this--you have expressed so well what the true outcomes of homeschooling our children should be. Bless you!